Rosa Smith Lewis, age 77 of Laurinburg passed away Friday, April 12, 2019. Rosa, a daughter of the late Johnny Smith and Mary Magdalene Clark Smith was born September 20, 1941 in Scotland County. She was the wife of the late Edwin Ray Lewis. She retired after many years of service from Eaton Corporation and was a member of Peele’s Chapel Wesleyan Church. In her leisure time, Rosa enjoyed sitting on her porch, watching birds, shopping and playing games computer games. She loved spending time with her family, especially her grandchildren. Along with her parents, she is preceded in death by her siblings, Bobby Bae Smith, James Smith and Mattie Fleishman. 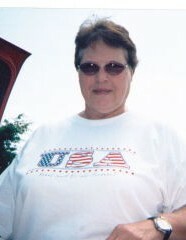 Rose leaves behind her children, Joseph “Joey” Lewis (Tammy), and Rayma Lewis Bowen, all of Laurinburg; step children, Ricky Ray Lewis and Debbie L. Rachels, both of Hamlet and Shelia Goins Lloyd of Laurel Hill; brother, Ronnie Smith of Laurel Hill; sister, Mary Dwyer of Laurinburg; ten grandchildren, Elizabeth Peele, Jayson Bowen, Jordan L. Locklear, Joseph Anthony Lewis, Bradley Lewis, Patrick Lewis, Marcus Lewis, Brandi Lewis, Chasity Bledsoe, Nikki Hough; thirteen great grandchildren and many nieces and nephews. A service to celebrate her life will be at 3:00 p.m., Wednesday, April 17, 2019 at the Richard Boles Funeral Service Chapel with graveside services following in Hillside Cemetery. Visitation will be prior to the service on Wednesday from 1:30 until 3:00 p.m. at the funeral home.